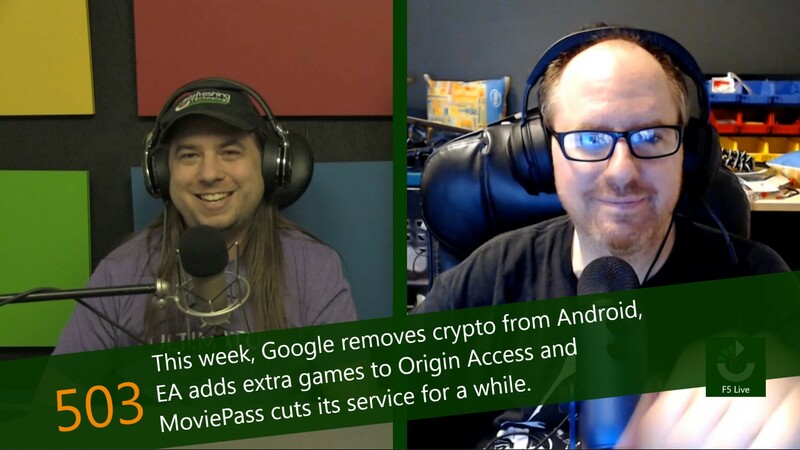 This week, Google removes crypto from Android, EA adds extra games to Origin Access and MoviePass cuts its service for a while. Following in the footsteps of Apple and Chrome, Google Play has officially banned cryptocurrency mining apps from the store. This includes, but is not limited to, dedicated mining apps, apps and games that monetize through mining, and apps that mine without permission. This does not include apps that allow you to remotely manage mining operations, either on your own computer or on a cloud platform. It also does not prohibit apps that manage your cryptocurrencies themselves, like via wallets, etc. At E3 2018, one of the most surprising announcements was from Electronics Arts in the form of a new tier for Origin Access. The service is a subscription which gives access to The Vault, which is a large collection of back catalog games, as well as discounts on all purchases made in the Origin Store. It also offers demos of games 5 days prior to launch, so that you can get a feel for the game to decide whether to purchase it or not. It was only 2 weeks ago that the AT&T/Time Warner merger was placed in jeopardy when the Department of Justice appealed a court's decision that allowed the merger to be finalized a month ago. As of the appeal, AT&T had already worked Time Warner (now called WarnerMedia) into their corporate infrastructure, placing a new head over the brand and planning for some big changes at HBO.